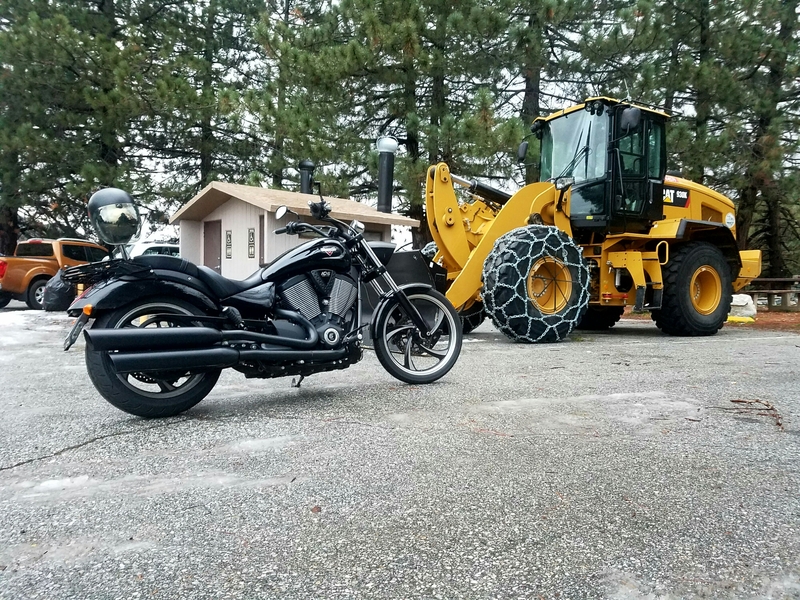 I took this opportunity and rode up Angeles Crest Highway with my father-in-law. 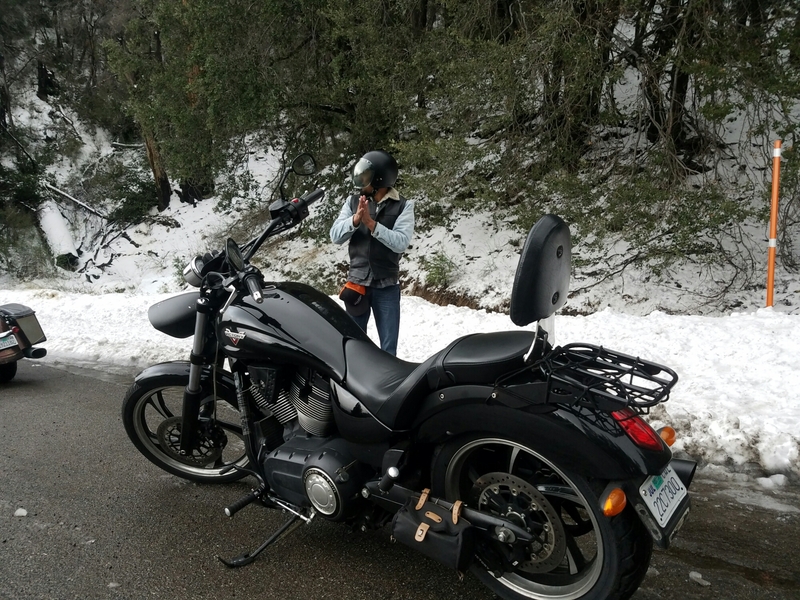 Our goal was to reach Newcomb’s Ranch and get some pictures with snow. We got to the snow. I made it to the SNOW!!!!! The Father-in-Law and I made it to the top of Angeles Crest. 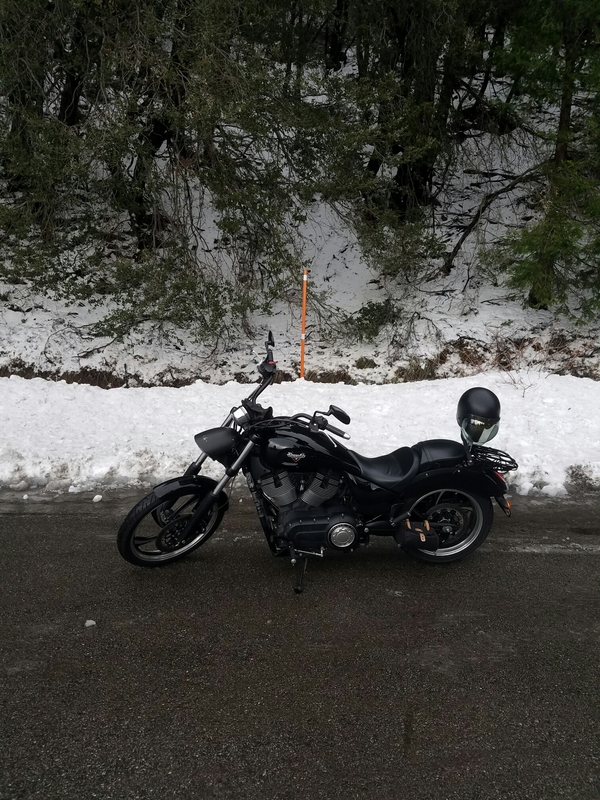 Chains Required Beyond This Point….. unless you are a motorcycle then just keep riding.